A Forest Service study of nearly 50,000 children in New Zealand has found that those who live in greener neighborhoods are less likely to develop asthma. However, not all greenness is a good thing–children living in areas with nonnative plant species or low plant diversity were actually at a greater risk of developing the chronic lung disease. The study is the first to indicate that plant diversity can protect against a specific adverse health outcome and is published in the journal Nature Plants. "Our results show that biodiversity conservation isn't just an ecological issue; it also provides concrete health benefits," said Geoffrey Donovan, a research forester with the Pacific Northwest Research Station and lead author of the study. Through his previous research on the benefits of urban trees, Donovan collaborated with Massey University in New Zealand, where the country's Integrated Data Infrastructure–a large, individual-level database covering most of the nation's 4.6 million residents that includes 166 billion pieces of data on health, housing, and other variables–allowed the researchers to longitudinally study the relationship between the natural environment and health. 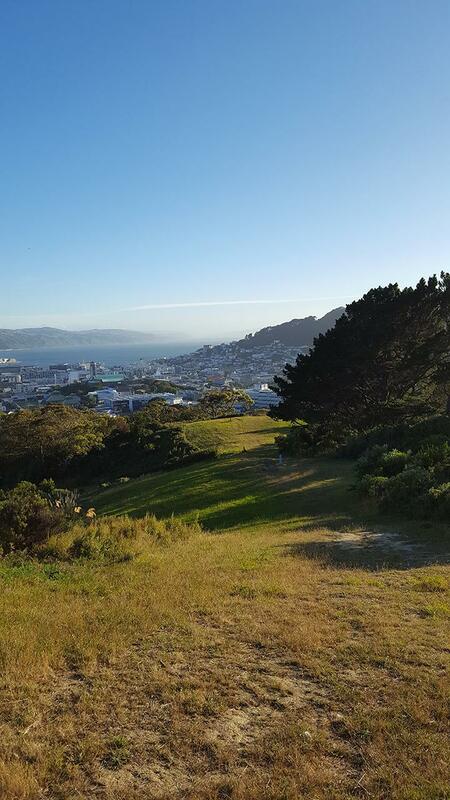 By accessing the dataset at a secure data lab in New Zealand, Donovan and his colleagues explored the association between asthma and the natural environment in 49,956 New Zealand children followed through age 18. They calculated the greenness of neighborhoods using satellite imagery and land-use data and linked this index of vegetation to health records from throughout each child's life. "This study built on an unusual, but highly productive, combination of expertise in forestry, green space, and public health involving scientists from both the United States and New Zealand," said Jeroen Douwes, Director of the Center for Public Health Research at Massey University and a study co-author. Their results suggested that greenness across a child's life may help protect them from asthma and was associated with a 6% lower risk of developing the disease. Similarly, exposure to diverse natural vegetation across a child's life also may help protect them from the disease, associated with a nearly 7% reduction in risk. "We hypothesized that this protective effect is because biodiverse landscapes increase microbial exposure, which promotes healthy immune function–a phenomenon captured in the 'hygiene hypothesis,'" Donovan said. "Without this exposure, children may be more susceptible to immunological conditions, like allergies and asthma." The researchers found no evidence that reduced air pollution was associated with the protective effect. Conversely, two nonnative land cover types–of the invasive plant gorse and exotic conifer species–were associated with a 3% and 4% higher risk, respectively, of developing the disease. Nonnative plants like these typically crowd out native species or are, in the case of exotic conifers, grown in monocultures in New Zealand, which are low in biodiversity. They also may generate pollen, which can serve as a respiratory irritant. Asthma, a lung disease that causes a person's airways to swell, making breathing difficult, affects about 25 million Americans, or 1 in 13 people, according to the Centers for Disease Control and Prevention. About 8 percent of U.S. children suffer from asthma, for whom it is the leading chronic disease. So what do the findings of this study mean for children in the United States? "We believe that the relationship between biodiversity and health is universal, because the hygiene hypothesis holds in countries around the world," Donovan said. "We tested it in New Zealand for pragmatic reasons because of the data availability there, but we believe that, despite some inevitable local differences, our results would likely hold in the United States." The Pacific Northwest Research Station–headquartered in Portland, Ore.–generates and communicates scientific knowledge that helps people make informed choices about natural resources and the environment. The station has 11 laboratories and centers located in Alaska, Washington, and Oregon and about 300 employees. Learn more online at https://www.fs.fed.us/pnw.